We're used to lightning that shoots down from clouds, but a lesser-known form of electricity blasts up from cloud tops — and out toward space. However, an astronaut in space has filmed a first-of-its-kind color video of elusive blue jets, according to a January 2017 study in Geophysical Research Letters. Researchers behind the study asked European Space Agency (ESA) astronaut Andreas Mogensen to perform the "Thor experiment," named after the Norse god of lightning, back in 2015. His mission: document thunderstorms from the International Space Station (ISS), located some 250 miles above Earth, with a very sensitive video camera. Right after lightning from below the storm illuminates the clouds, you can see the blue-purple cone of a blue jet pulsate a little, then finally shoot out of the cloud tops. It's devilishly hard to photograph blue jets and their higher-altitude cousins, red sprites . In fact, researchers have been studying them closely only since the 1990s. But Mogensen nailed his mission to document them. 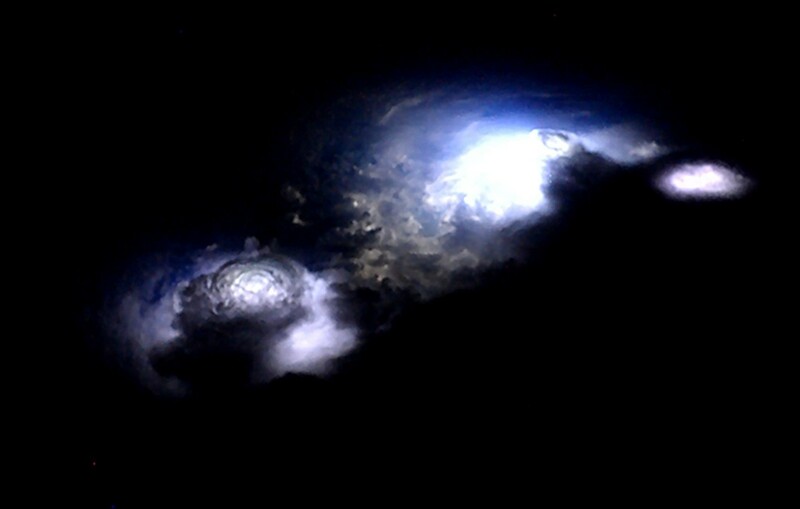 "The observations [...] are the most spectacular of their kind," the researchers wrote, noting this was thanks to an unusually active thunderstorm, the astronaut's viewing angle, and the high resolution of his camera. "They reveal new aspects of discharge processes at cloud tops, including a pulsating blue jet[.]" 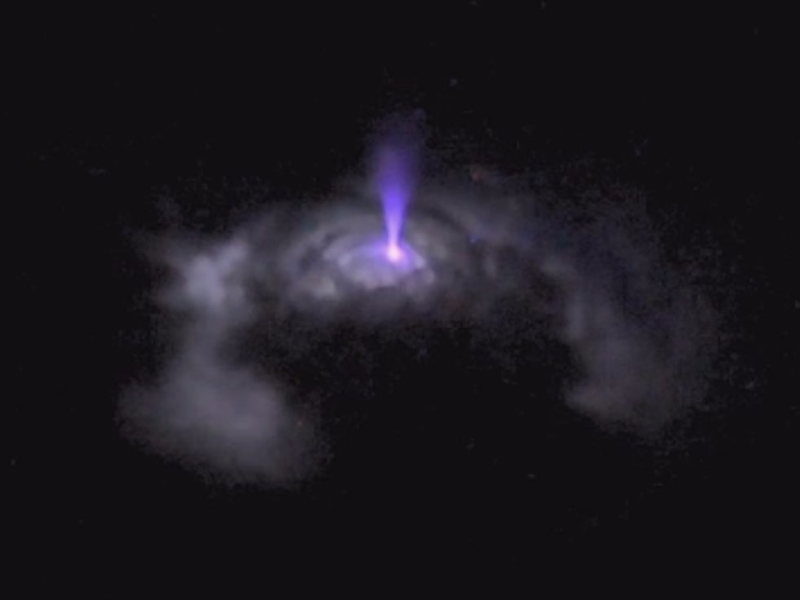 Blue jets aren't just a curious phenomenon. Like red sprites, they could play a vital role in shaping the air we breathe by combining and breaking apart different types of atmospheric molecules. But for now "it's something that we know very little about," Mogensen said in an ESA video . The astronaut says a follow-up mission, called the Atmosphere-Space Interactions Monitor , will soon launch to the space station and more closely study blue jets and other high-altitude phenomena, including meteors.